The 2019 Oscar Nominations are in, and...it looks like the interestingness of last year was a one-and-done. Hey movie lovers, it’s that time of year again! The Academy of Motion Picture Arts and Sciences has compiled its list of what it thinks are the best movies and performances of the year. And this year is a big WOW! – and not in the good way. Read on, true believers, to find out what I think of the 2019 Oscar Nominees. The ceremony is Sunday, February 24, 2019, so that’s when we can all be bummed out about the winners. DISCLAIMER: Once again, these are the opinions of me, James Jay Edwards, and do not necessarily reflect those of FilmFracture or the other writers therein. These opinions might not even reflect my own thoughts by the time the ceremony rolls around. 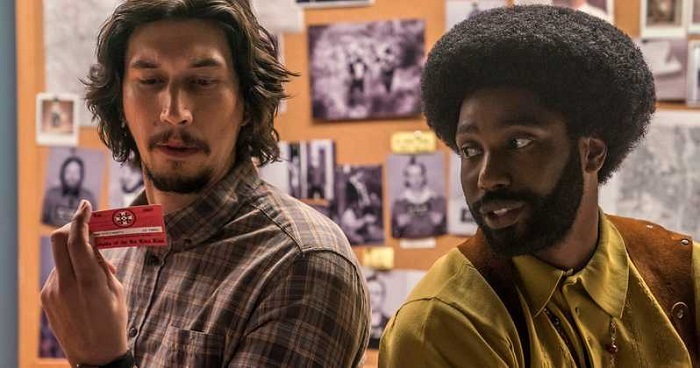 Adam Driver and John David Washington in BlacKkKlansman, image courtesy Focus Features. After last year’s crop of exciting left-field nominees, this batch is a bit disappointing. Sure, Black Panther is there, but that was to be expected since the Academy came THIS CLOSE to inventing a category just for it. And Roma is a breath of fresh air, even if it’s a sub-par movie. The rest…well, no surprises there. It is a bit surprising that If Beale Street Could Talk has been snubbed. And no sign of A Quiet Place, which was the best movie of the year, but after Get Out last year, we couldn’t expect lightning to strike twice. Prediction – My heart would love to see BlacKkKlansman take this, but I think the Academy will choose a safer pick, like Green Book, even if it has been the victim of some Three Billboards Outside Ebbing, Missouri-style backlash. Christian Bale in Vice, image courtesy Annapurna Pictures. Again, safe picks here. The most notable snub in this category is Ethan Hawke for First Reformed. You could also sub in Joaquin Phoenix for any of his roles this year – You Were Never Really Here, The Sisters Brothers, and Don’t Worry, He Won’t Get Far on Foot – as he was terrific in all of them. Prediction – This one’s a toss up – anyone can take it. I’d give it to Christian Bale in Vice, though, just so we can hear him thank Satan again. 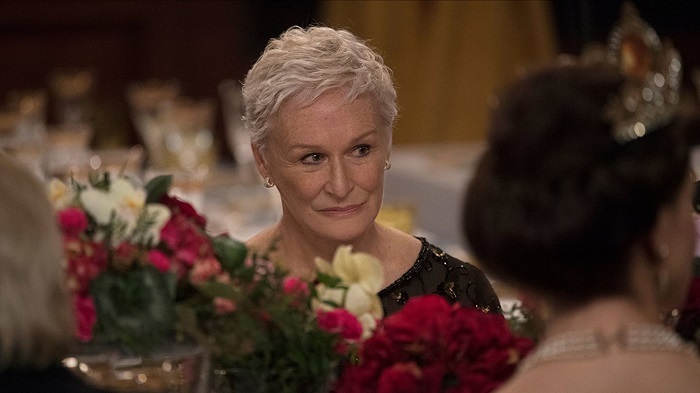 Glenn Close in The Wife, image courtesy Sony Pictures Classics. Again, fairly safe Oscar nominee picks, and again, a huge snub. Toni Collette absolutely deserves to be in this running for Hereditary. But, her omission opens up the floor for Glenn Close to finally win her Oscar. Sure, Colman was good, but she’s only the lead in The Favourite because Fox Searchlight told everyone she was – it really is much more of an ensemble cast. And Gaga was believable, but mainly because she was playing herself in A Star Is Born. Prediction – Glenn Close. And deservedly so. Mahershala Ali in Green Book, image courtesy Universal Pictures. No one really stands out here. All were great in their respective roles. Ali had the most to do in Green Book, and honestly, the chemistry between him and Viggo Mortensen carried the movie. Rockwell’s portrayal of Dubya in Vice was uncanny, though. Prediction – My heart is going with Rockwell for the re-peat, but my head is saying Ali. My head is usually right. 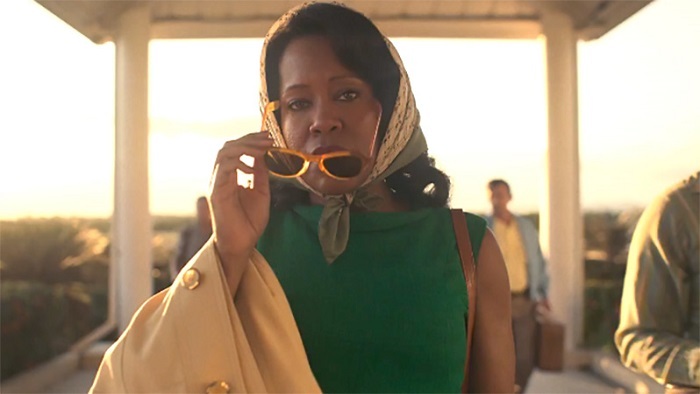 Regina King in If Beale Street Could Talk, image courtesy Annapurna Pictures. This is anyone’s race as well, since Stone and Weisz may cancel each other out (remember, ensemble cast). This shoves Regina King to the front of the line. Prediction – I think King takes it, because they’ve got to give If Beale Street Could Talk something, right? Besides the fact that all of these directors are male (despite movies like Lynne Ramsay’s You Were Never Really Here and Debra Granik’s Leave No Trace being released this year), the interesting thing about this category is that 40% of the nominees are foreign language films. The biggest snub here is Bradley Cooper, who directed the hell out of A Star Is Born. Personally, I would have loved to see Ari Aster or John Krasinski in here for Hereditary or A Quiet Place, respectively. Prediction – As much as I want Spike Lee to win it, my gut is saying Alfonso Cuarón. 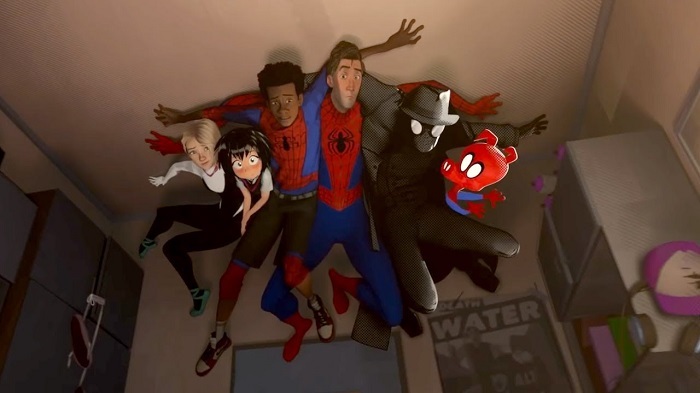 Spider-Man: Into the Spider-Verse, image courtesy Sony Pictures Releasing. I am thrilled to no end that Spider-Man: Into the Spider-Verse got nommed here, and it even won the Golden Globe, so who knows? Prediction – The Oscars are not the Globes, so I think Isle of Dogs takes this one, even if it would be super cool if Spidey pulled off the upset. This is the most baffling category. The two best docs of the year, Won’t You Be My Neighbor? and Three Identical Strangers, have been snubbed. While it’s a compelling and entertaining documentary, RBG is a bit too hero-worshippy to win. Without having to go up against the nostalgic sentiment of Mr. Rogers or the twist-a-minute tale of the Triplets, this award will probably go to Free Solo. Prediction – Roma wins this instead of Best Picture. 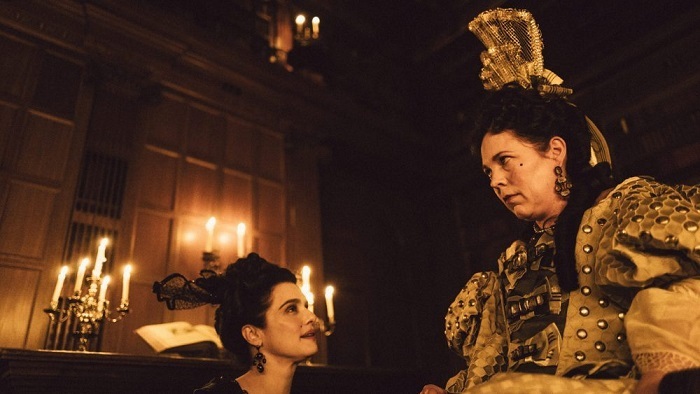 Rachel Weisz and Olivia Colman in The Favourite, image courtesy Fox Searchlight Pictures. Prediction – The Favourite will take it. Here’s where the heavy hitters are. The Ballad of Buster Scruggs is an anthology, so it may lose some points with voters. BLacKkKlansman takes a few too many liberties with the “true story,” so it may be crippled there, although that didn’t seem to hurt Green Book at the Golden Globes. Prediction – If Beale Street Could Talk because screenplay is generally a Miss Congeniality award, and Beale Street got snubbed for best picture. Isle of Dogs, image courtesy Fox Searchlight Pictures. Prediction – Mary Poppins Returns will probably win. For this, I’m just bummed that Thom Yorke’s “Suspirium” from Suspiria didn’t make the cut. All of these songs are just fine. 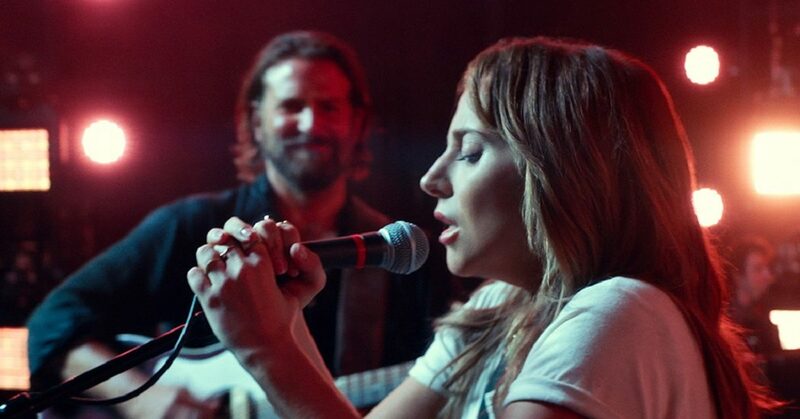 Prediction – I’d love for “When A Cowboy Trades His Spurs For Wings” to win, but it will probably be “Shallow.” And that’s just fine. Without the nomination of Alexander Dynan and his wonderful photography in First Reformed, there is really only one possible winner here. 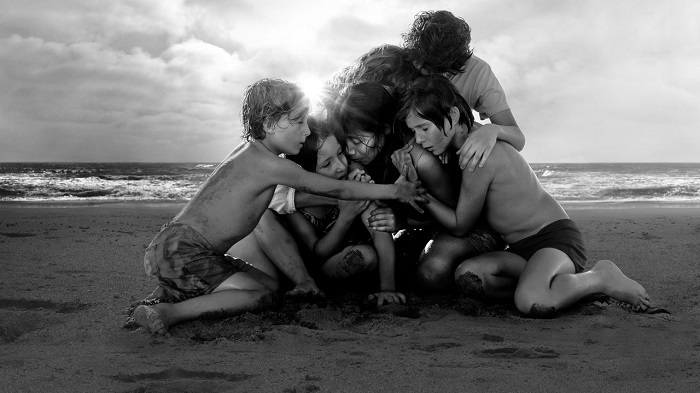 The cinematography is the one reason to skip Netflix and see Roma on a big screen. It’s gorgeous. 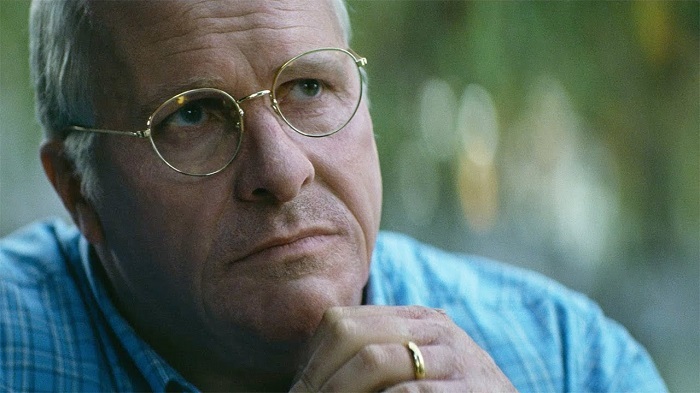 Prediction – Vice is the best edited movie of the bunch. John Krasinski in A Quiet Place, image courtesy Paramount Pictures. Here’s our A Quiet Place nomination. Makes sense, since most of the movie is completely devoid of dialogue and the sound guys really had to step up to fill that silence. There was a sound issue at my Roma screening that I have since learned was not an isolated problem (the back speaker of the surround sound didn’t seem to work), so I’m DQing it. First Man and Black Panther both went BOOM and Bohemian Rhapsody went BRAANNNGG! !, but the subtlety of A Quiet Place is where my money is. 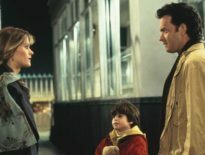 Prediction – I just said A Quiet Place. Geez. Again, I’m DQing Roma because of the not-isolated sound issue at my screening. With no A Quiet Place here, we’ve got two BOOMs and two BRAANNNGGs. Prediction – I’ll go with the BOOM of First Man, although the BOOM of Black Panther is equally BOOMing. Check out all of the 2019 Oscar nominees for the 91st Academy Awards (without my snarky comments) at the official Oscars website.